We lived in two floor apartment with small terrace. It’s New, clean, big, light and very cozy. The View was great, there also was a table on the terrace where u can have breakfast when it’s warm in the morning. Connection is good. It’s not the center spot, but Vienna is huge city and property is in 3-4 tram stops from Rathaus. 30 min from airport and approximately 30€ cost for Uber. Checkin, checkout very easy with the instructions the host send u before arriving. Everything OK, all services perfect or almost perfect. The kids wrote down the address for future reservations. Thank you! 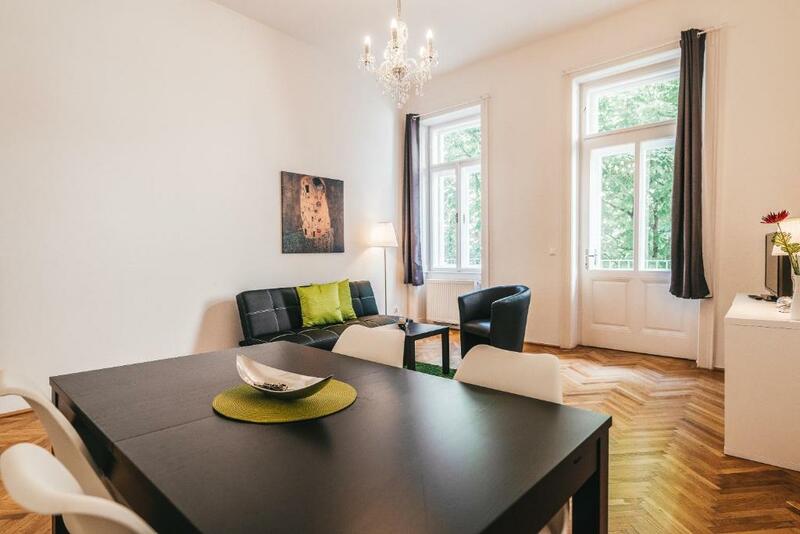 Great location, comfortable, clean and modern apartment. Super convenient and very nice accommodations. Was clean and well stocked with everything I needed during my stay. Great communication with the owner, even at 11pm. Great location and ~10mins walk to the center. Really clean appartment. No issues with the self check-in. The garage is big and secure. Such a beautiful location indeed!!! The apartment was so clean and cozy and spacious . Loved everything about it! Would definitely stay here again. We arrived on a weekend so the parking was free outside the apartment. Else it’s 19 Euros a day to use their garage and u have to reserve in advance which am glad we didn’t coz we only knew about the free parking after we arrived. The property is very clear and convenient for me. The location was very good you have everything close to you including the supermarket. The property is very big and the size of rooms very good. I will consider it again if I visit Vienna. Lock in a great price for Duschel Apartments Imperial Living – rated 9 by recent guests! 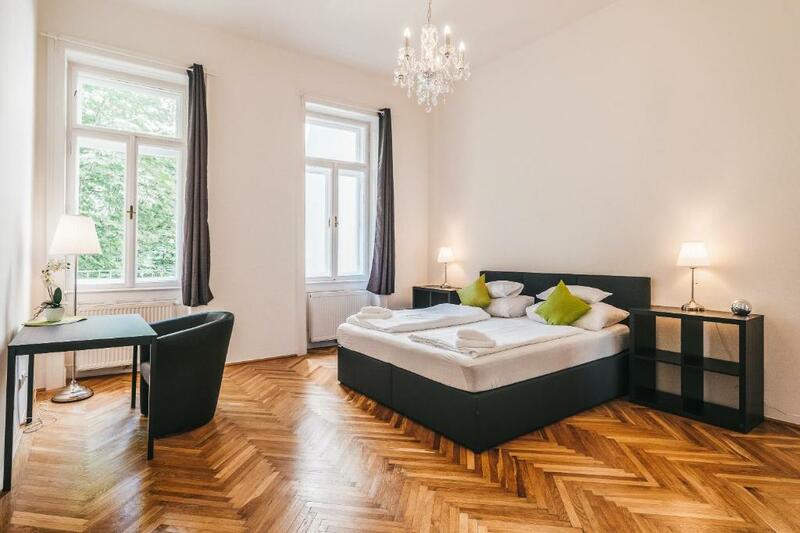 One of our top picks in Vienna.Located within 1.3 miles of Rathausplatz in Vienna, Duschel Apartments Imperial Living provides accommodations with seating area and flat-screen TV. Complimentary WiFi is provided. 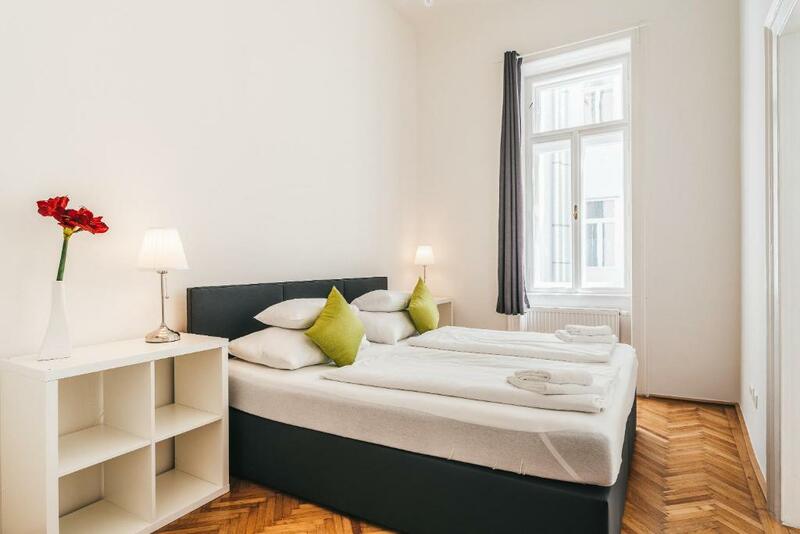 Vienna City Hall is 1.6 miles from Duschel Apartments Imperial Living, while Vienna Volksgarten is 1.8 miles away. 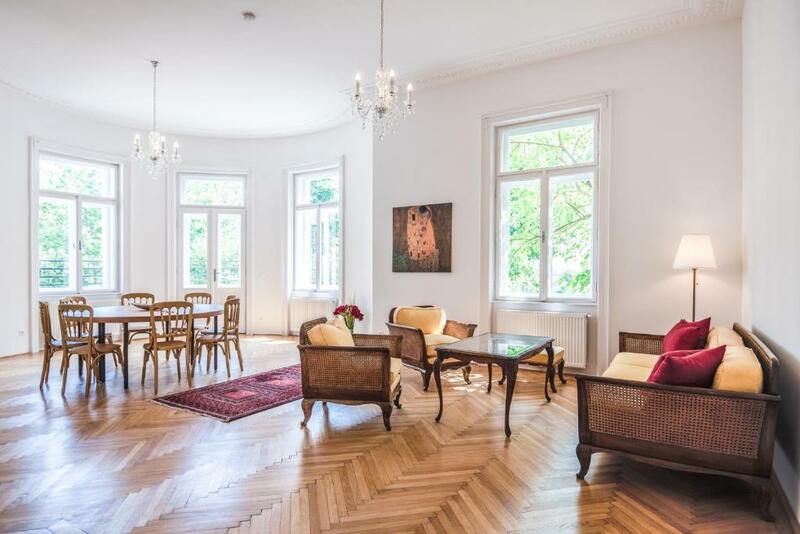 The nearest airport is Schwechat Airport, 13 miles from the property. 09. Alsergrund is a great choice for travelers interested in convenient public transportation, monuments and museums. When would you like to stay at Duschel Apartments Imperial Living? This apartment has a dining area, washing machine and kitchen. 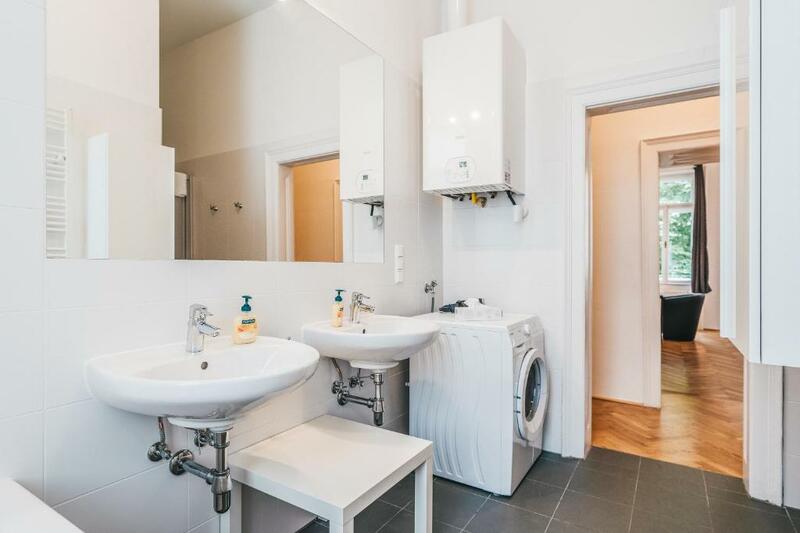 This apartment features a dishwasher, sofa and toaster. This apartment has a satellite TV, tumble dryer and kitchen. This apartment features a sofa, toaster and dishwasher. This apartment has a kitchen, oven and toaster. This apartment has a flat-screen TV, toaster and washing machine. This apartment features a kitchenette, sofa and oven. This apartment features a kitchenette, stovetop and microwave. This apartment has a stovetop, seating area and dining area. This apartment features a electric kettle, seating area and kitchenette. This apartment has a sofa, seating area and patio. This apartment features a oven, satellite TV and sofa. This apartment has a microwave, dishwasher and kitchen. This apartment features a washing machine, toaster and seating area. This apartment has a satellite TV, electric kettle and kitchen. 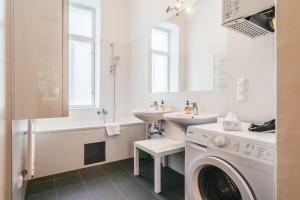 This apartment features a kitchenette, microwave and washing machine. This apartment has a stovetop, oven and washing machine. This apartment features a satellite TV, seating area and sofa. This apartment has a dishwasher, washing machine and microwave. Area Info – This neighborhood is a great choice for travelers interested in convenient public transportation, monuments and museums – Check location Excellent location – show map Guests loved walking around the neighborhood! House Rules Duschel Apartments Imperial Living takes special requests – add in the next step! Debit card Duschel Apartments Imperial Living accepts these cards and reserves the right to temporarily hold an amount prior to arrival. Duschel Apartments Imperial Living accepts these cards and reserves the right to temporarily hold an amount prior to arrival. Please inform Duschel Apartments Imperial Living of your expected arrival time in advance. You can use the Special Requests box when booking, or contact the property directly using the contact details in your confirmation.